Last month, hundreds of Kaipeng Christians in northeast India braved heavy downpours to celebrate the launch of the very first New Testament with Psalms and Proverbs in their language. Around 12,000 people speak Kaipeng, and many are Christians. So many people attended the launch that they could not all fit into the church – the Tuidu Mission Centre in Tripura – so they spilled out into the covered verandah outside. They peered through the windows to witness the moment that the new Scripture was carried solemnly up the aisle for a blessing by Rev Dr Vanlalauva, President of the Bible Society of India’s Aizawl Auxiliary. After the official ceremony, people queued up outside to purchase their own copies, many taking several copies to give out to family members and friends. We are so happy to see these pictures and hear these stories after helping to fund this translation work for the last six years. There is so much to thank God for when people receive His words in a language they fully understand. Please pray that the Kaipeng New Testament and Psalms will bring many blessings to the community. 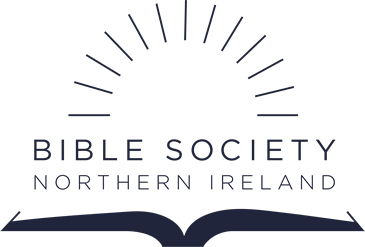 At the moment the Bible Society of India is working on 25 other translation projects. Let’s pray that we’ll see many more photographs of celebration for all these different languages. From left to right: Rev Porimal Kaipeng, Executive Secretary of the Kaipeng Baptist Association, Rev Rajini Kaipeng, Secretary of the Kaipeng Christian Literature Committee, C. Thangnghilova, Senior Auxiliary Secretary of BSI’s Aizawl Auxiliary, Rev G. B. Kaipeng, one of the translators, Rev Dr W. Along Jamir, BSI’s Associate Director (Translation)and the Rev Dr Zaimingthang (BSI’s former Associate Director of Translation).